It’s been a good year for the VE Team. From August 16, 2017 to February 6, 2018, 45 persons have earned new licenses. Lev Edelson passed his Technician license on February 6. His call is KC1IZE. Lev is only 9 years old! Congratulations, Lev! Orrin Riggott, AB1EL, has accepted leadership of our dedicated VE Team. Chris Kelling, N1WKO, and Mac Harper, W1FYM, both VE team members, are teaching an Extra Class course, meeting for the first three Tuesdays of each month. We plan to graduate eight new Extra Class licensees in time for Field Day in late June. Our Packet Radio BBS, W1EDH-4, experienced a UPS failure on February 28, terminating our record of more than 900 days of continuous operation. Brian Rogers, N1URO, and Mac Harper, W1FYM, visited at the height of a nor’easter to replace the faulty UPS and re-establish service. Brian is the guru who wrote the UROnode and got our FBB BBS system working under Linux. The W1EDH UROnode accepts Telnet, ax25 mail, and provides network connectivity for the W1EDH-4 BBS. Brian also is the force behind the Eastnet Backbone packet system, which links several states including Florida along the Eastern Seaboard. It's been a good year for the VE Team. From August 16, 2017 to February 6, 2018, 45 persons have earned new licenses. Lev Edelson passed his Technician License on February 6, 2018. His callsign is KC1IZE. Lev is only 9 years old! Congratulations, Lev! Orrin Riggott, AB1EL, has accepted leadership of our dedicated VE Team. Chris Kelling, N1WKO, and Mac Harper, W1FYM, both VE team members, are teaching an Extra Class Course, meeting for the first three Tuesdays of each month. We plan to graduate eight new Extra Class licensees in time for Field Day in late June 2018. Our Packet Radio BBS, W1EDH-4, experienced a UPS failure on February 28, 2018, terminating our record of more than 900 days of continuous operation. Brian Rogers, N1URO, and Mac Harper, W1FYM, visited at the height of a nor'easter to replace the faulty UPS and re-established service. Brian is the guru who wrote the UROnode and got our FBB BBS system working under Linux. The W1EDH UROnode accepts Telnet, ax25 mail, and provides network connectivity for the W1EDH-4 BBS. Brian also is the force behind the Eastnet Backbone packet system, which links several states including Florida along the Eastern Seaboard. 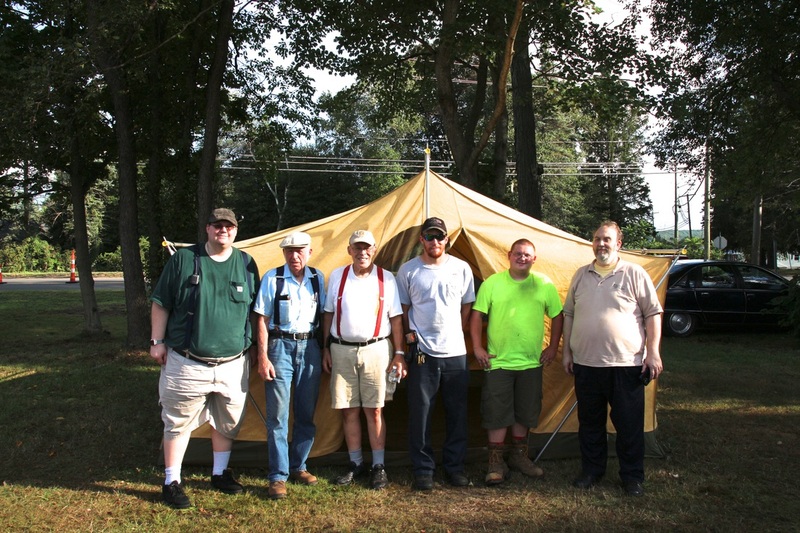 ​The Middlesex Amateur Radio Society W1EDH finished up a successful 2017 field day during the weekend of June 24th. Although hit with high humidity Saturday morning, the rain broke just in time for the club to start erecting our antenna farm for the beginning of the event at 1400 Local time. Don K1CMM brought the club’s communications trailer from which we affixed a tower to hold our 6 meter and tri band HF beam antennas. We also had a new VHF and UHF set up this year, thought of by Noah KC1EEP. We only managed to make 2 contacts on 2 meters, but it was worth the effort. Hopefully next year we will have some enhanced conditions come our way. The Generator power we were running off of was provided by Mac Harper W1FYM, who also made the majority of the contacts that weekend, diligently working each CW signal he could pick out of the noise. 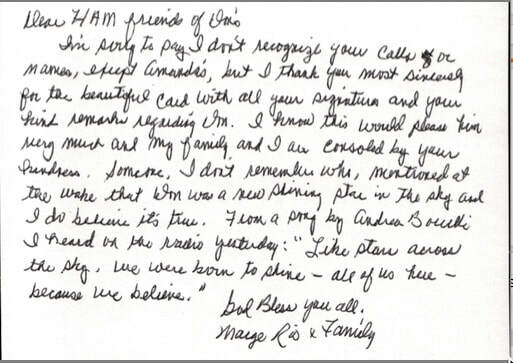 Overall 718 contacts were made and more importantly we shared good times and the magic of Amateur Radio. A special thanks to Mark Mokoski K1PU for chairing this event, providing his IT prowess, and submitting all the data to the league. With him and the help of membership Field Day 2017 was fun and successful. Although Field Day is over W1EDH has plenty more events coming up this summer. On Saturday July 15th, 2017 we will be assisting the Town of Portland by parking cars for the Portland fireworks. Volunteers who wish to bring an HT and help out from 5-9 p.m. can contact Don Gouin at K1CMM@arrl.net. Coming up on Saturday August 19th 2017 W1EDH will again be attending the Epilepsy Foundation of Connecticut’s 31st annual mud volleyball tournament at Zoar’s pond. This year the club will be activating a special event station which coincides with International Lighthouse and Lightship Weekend, so come by and get on the air if you want to join in on the fun. At the tail end of summer on August 26th, 2017 W1EDH will be providing communications for the Cystic Fibrosis Cycle for Life bicycle ride in Cromwell. Volunteers for Sag and Sweep vehicles are needed. If anyone can and would like to help the community by volunteering please contact Don Gouin at K1CMM@arrl.net. And as summer starts to fade into fall we will be occupying a space at the Portland Agricultural Fair October 6, 7, and, 8 2017. Volunteers wishing to help get the public and youth interested in Amateur Radio are again encouraged to contact Don Gouin. Don’t forget about our weekly meetings Tuesday nights at 7 p.m. at the Portland Senior Center, and check into our weekly nets. job of explaining the ststion setups, their operation, and how Amateur Radio can and does support the Community Services. off the coast of Africa. On Saturday September 13, 2014 the Cystic Fibrosis Foundation Connecticut Chapter will be sponsoring a " CF Cycle for Life " event. The starting point will be in Cromwell and consist of a 10, 32, and 60 mile course. This is the first time this event will take place in this area. Christine Urciuofi the Development Director has contacted the Middlesex Amateur Radio Society with a request for assistance in providing communications for the four SAG vehicles and the first aid stations along the routes. As the 32 and 60 mile routes extend from Cromwell into North Haven and Gilford to Route 95 assistance from ham repeaters in upper and lower Middlesex County will be required. This is another opportunity for Hams to support a Community Service so if you have experience in organizing an event of this size or can volunteer some time to assist please contact Don at "k1cmm@arrl.net". For the members of the Middlesex Amateur Radio Society.